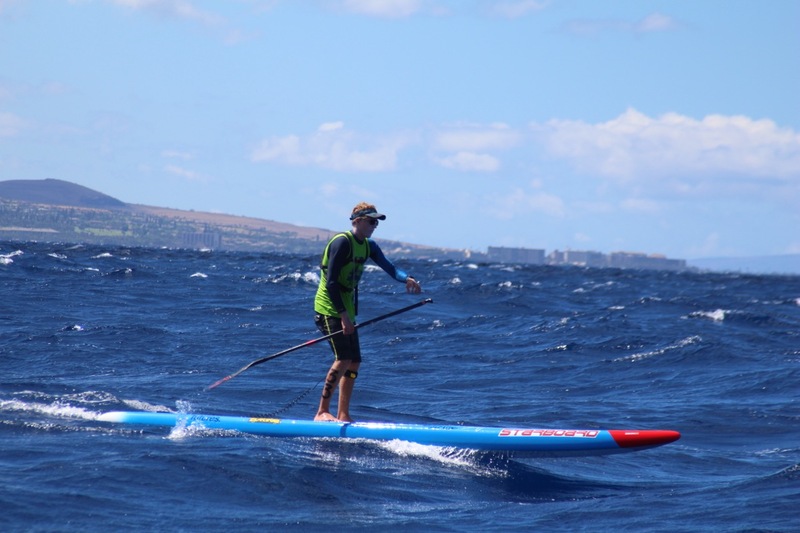 Coming straight from Europe after two months of flatwater racing I was jumping up-and-down like a kid ready to race downwind. 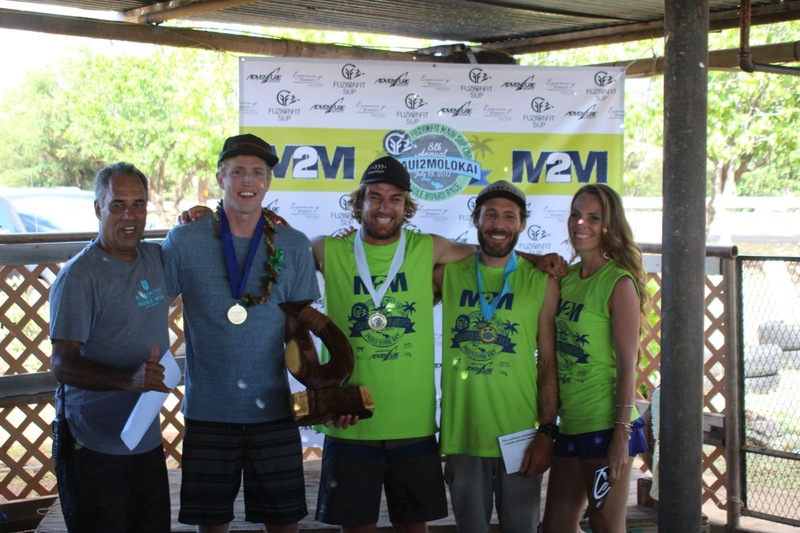 I got back to Maui on Wednesday night – so only had two days to recoup before the race. I got a few warm up Maliko runs in before Saturday. The forecast looked great – Northeast 15-20mph. The morning of the race we had to get to the our boat at 6:30am. 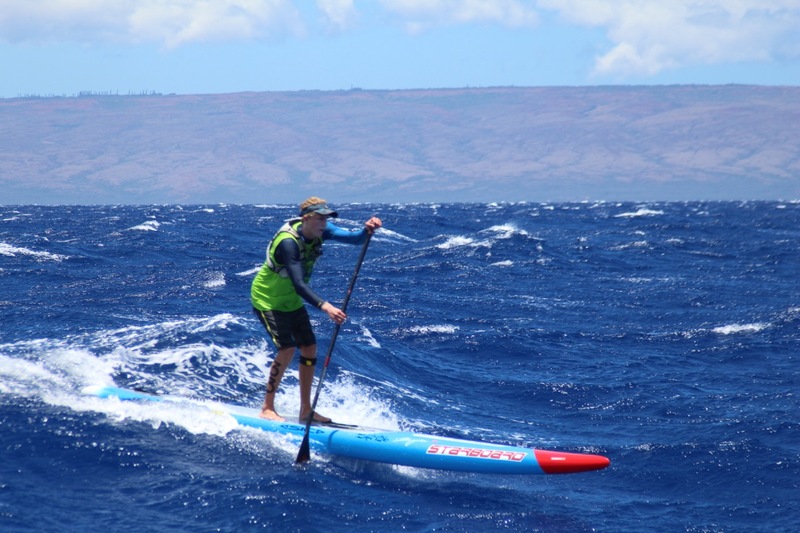 Load up the boards and head up to Honolua Bay from Lahaina. The race was an early start at 9:30. 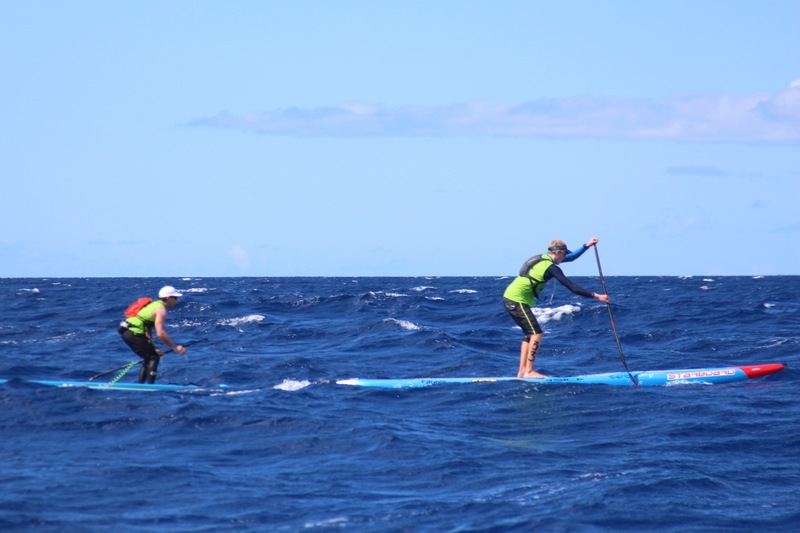 My dad blasted up to Honolua – for the start of the 27 mile, 3 hour paddle! 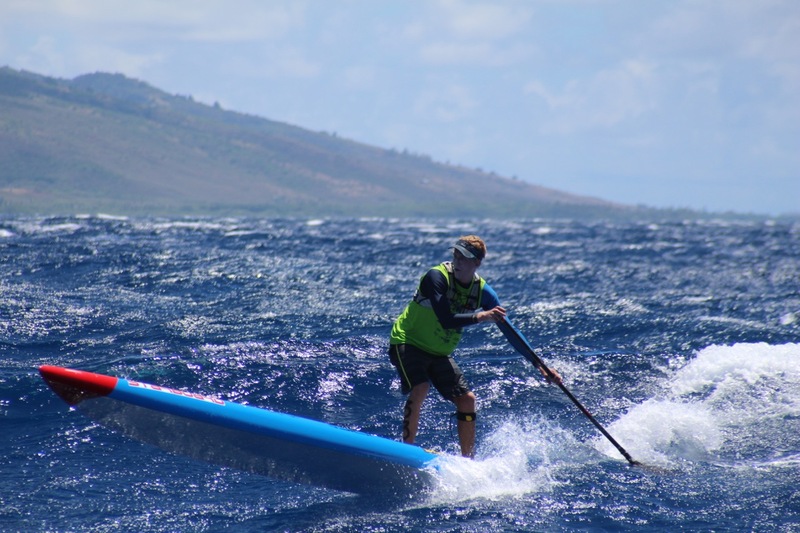 The wind was up early and I knew that there was going to be some bumps out there. I unloaded my unlimited and got warmed up for a bit before we started. 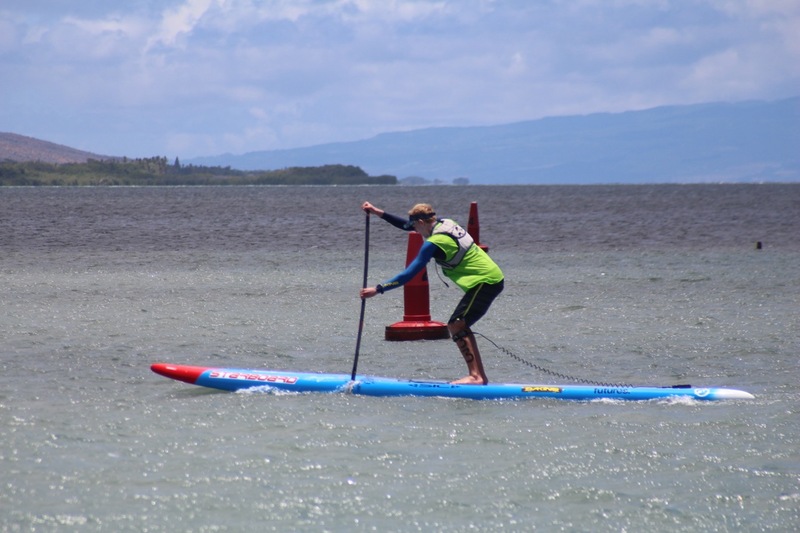 On the start line I saw Travis Grant, James Casey and Kody Kerbox. 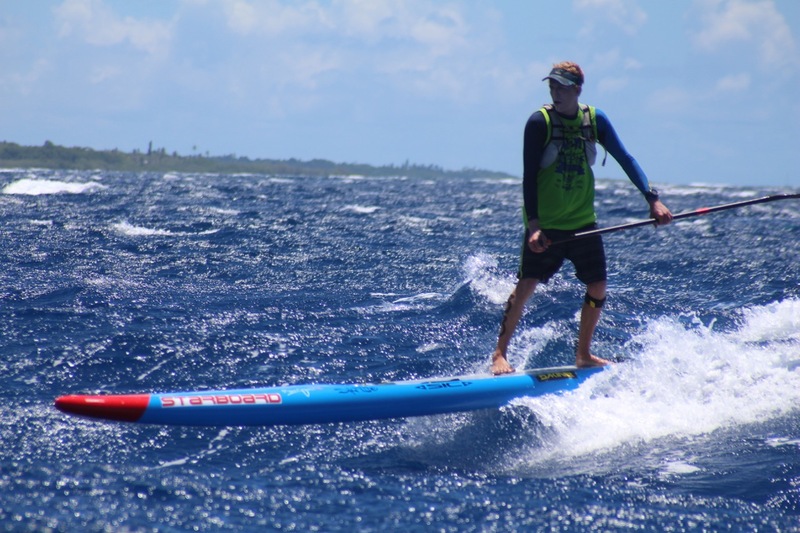 I knew I was going to have to paddle hard and catch a lot of bumps in order to win my 8th straight channel crossing. I jumped into the water and got cooled off right before the horn blew. I took off hard, but I knew it was going to be a long race and I just had to wait until the bumps. 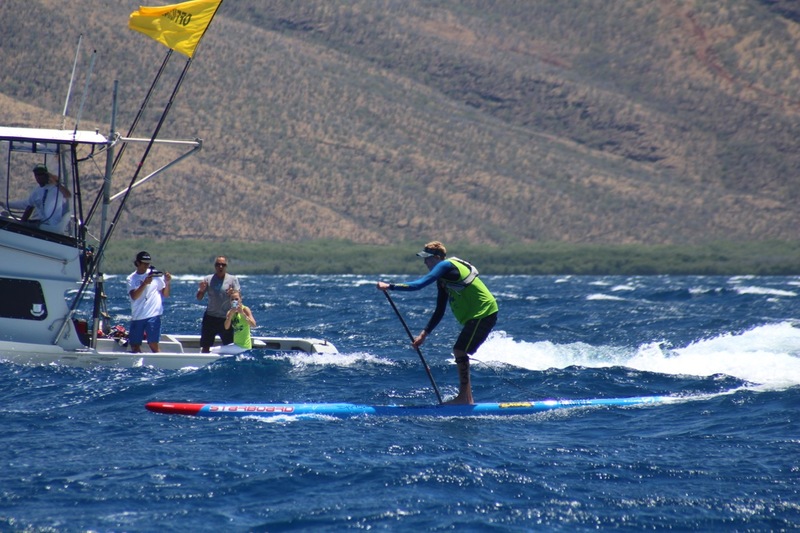 The wind was up and we got into some small chop and James, Travis and I started to pull away from the group. The bumps started to get better and better the more into the race I got. After the first hour the three of us were still catching bumps next to each other and then Travis caught a massive bump and just ran with it. Once he got this gap I didn’t stop chasing him until the last 6 miles. 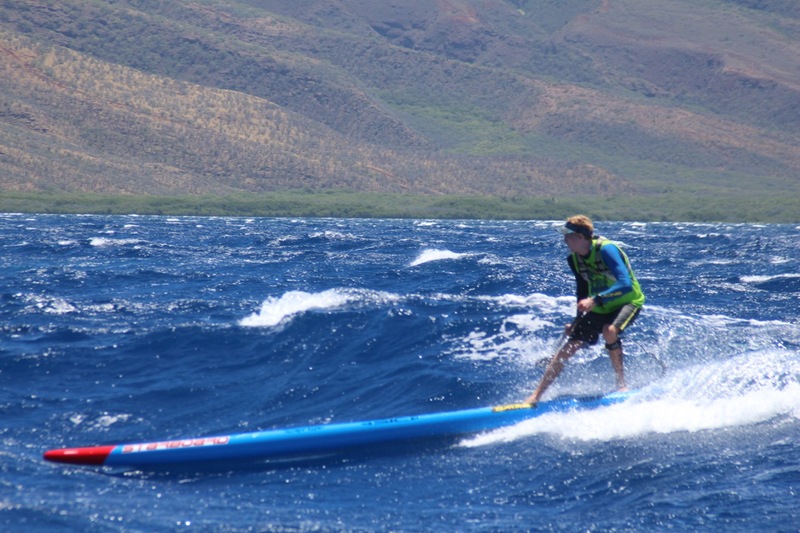 That next hour and half I was getting some insane bumps, but Travis just stayed the same distance in front. 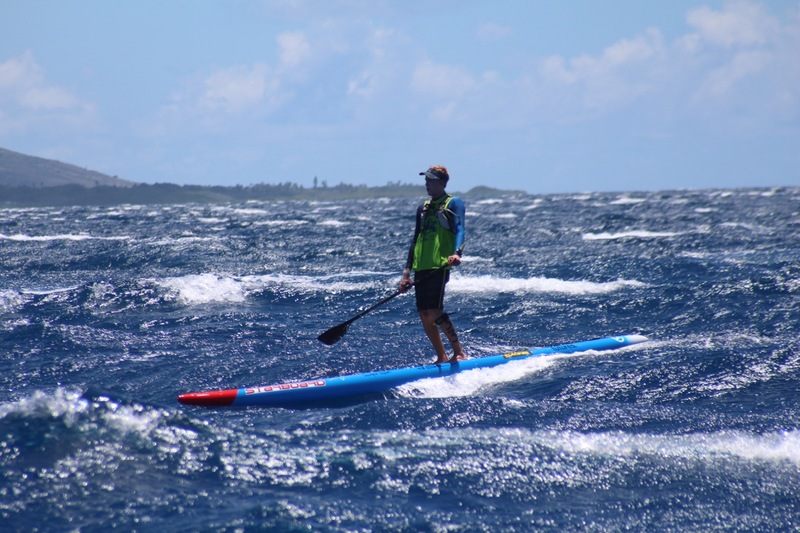 It wasn’t until I got to the Kamalo Buoy when I just put my head down and started having fun. 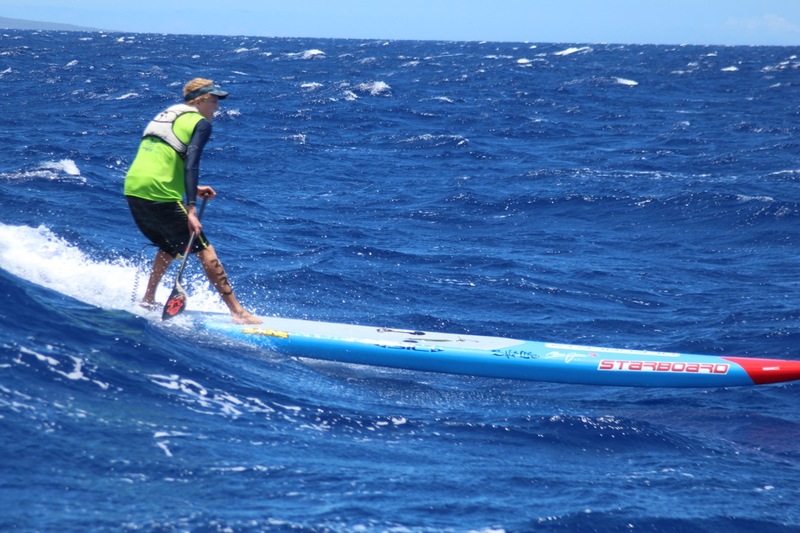 Getting some long glides and slowly catching up to Travis. 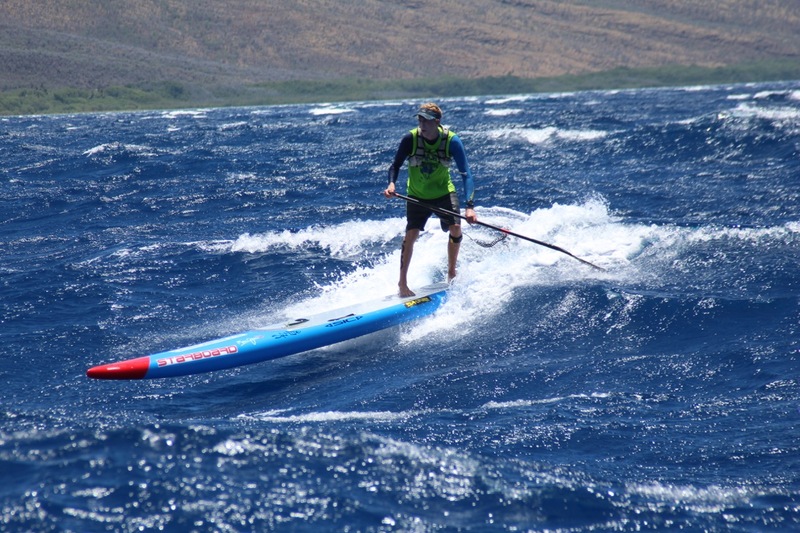 Travis went more North – more on an inside line – closer to Molokai. Whereas I stayed outside where the bumps were just going off. I got even with him with about 6 miles to go and I knew what I had to do. I got into my typical rhythm and just started to have some fun. 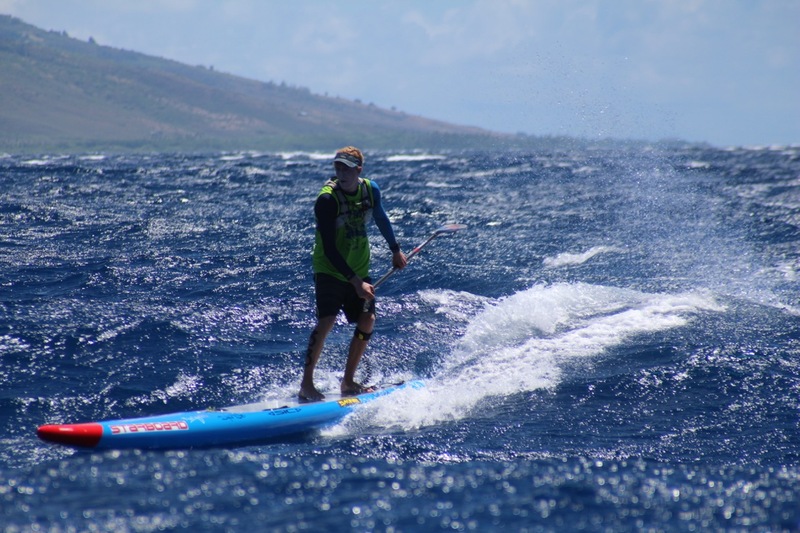 Getting some insane steep glides and surfing left to right. 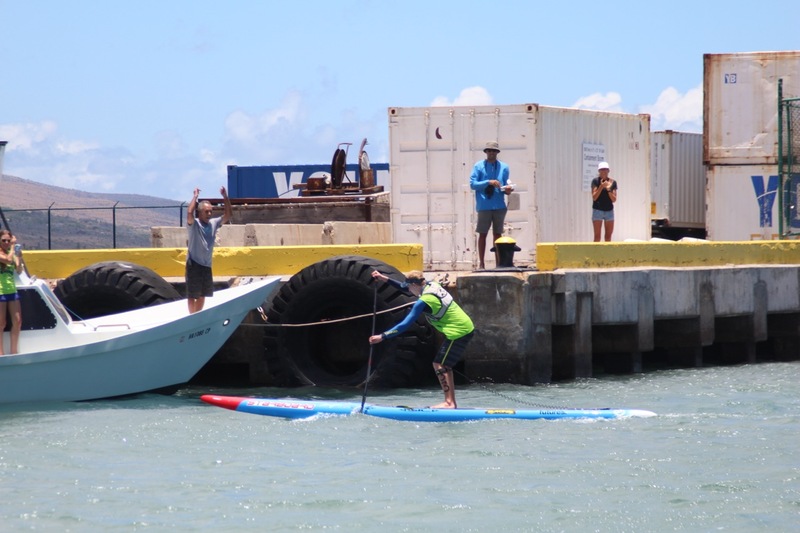 I noticed the warehouse building at the harbor and saw that I was a safe distance in front of Travis, which gave me chicken skin knowing that I just won my 8th straight Maui to Molokai! I finished with a time of 3:09 – not beating my record of 2:55 – but that day was nuking wind! 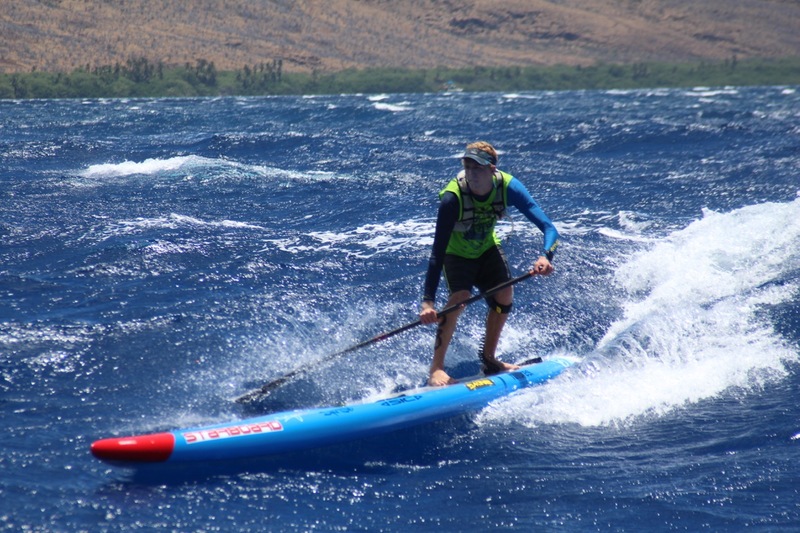 I want to thank my sponsors for all their support – Starboard, Salt Life, Maui Jim Sunglasses, Futures Fins, Dakine, Hammer Nutrition, GoPro, Garmin, Waterman’s Sunscreen, OnIt Pro, UB Super and Hi-Tech Sports.